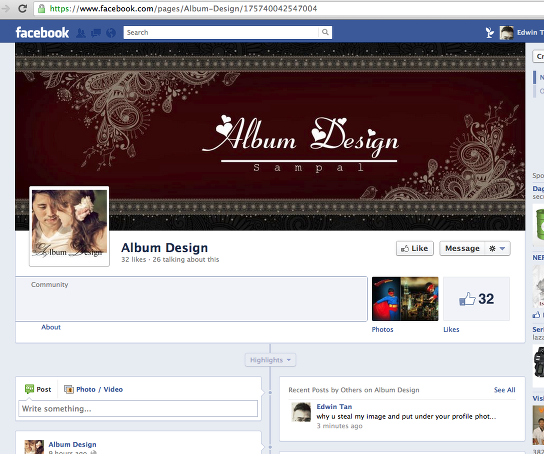 facebook fan page steal my image !! 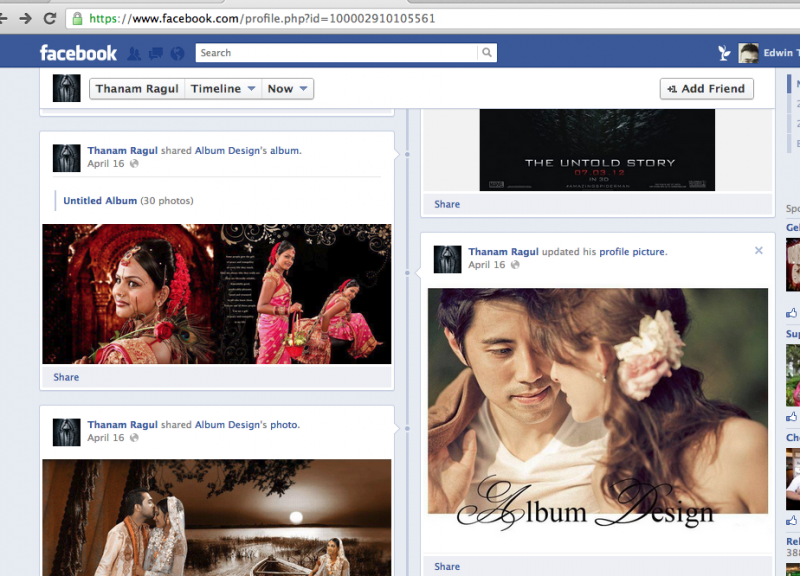 I got a shock when someone told me there is a fan page using it for album design and put it as his profile photo and delete my watermark logo !!!! 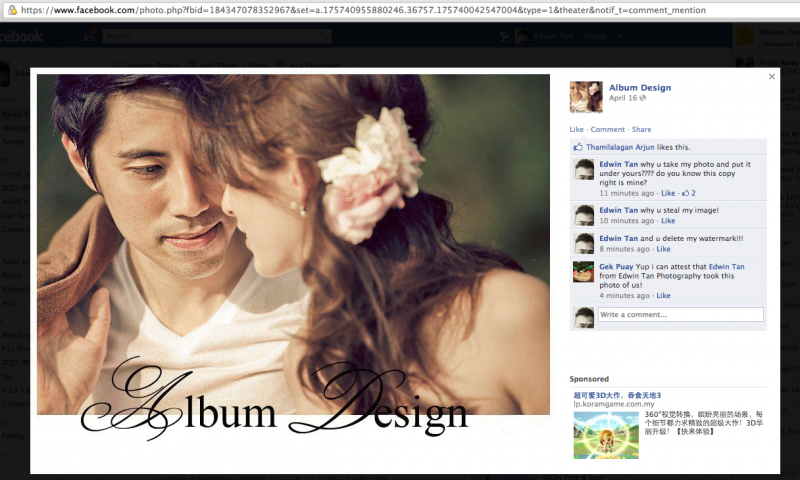 even my client, Gek posted her response.. this is so crazy !!! !